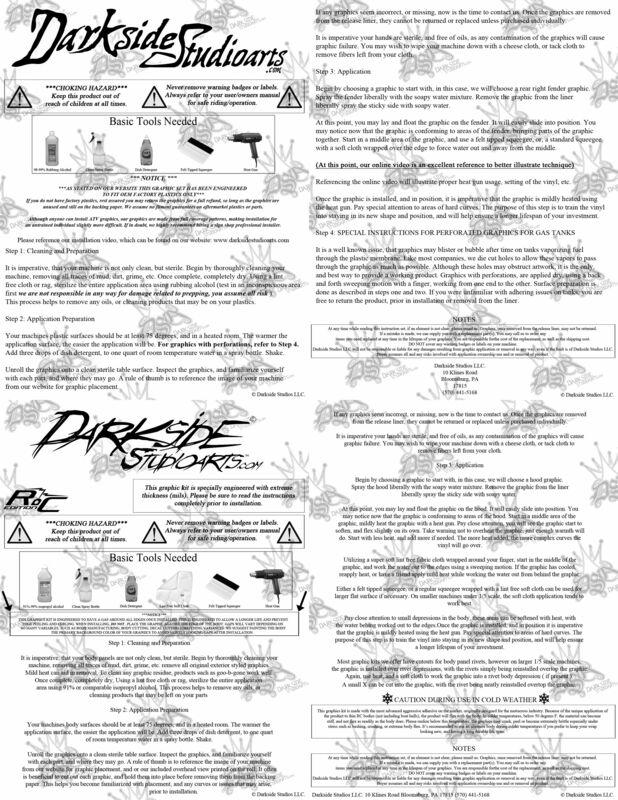 Darkside Studio Arts KTM ATV Graphics Wraps Skins Decals - Darkside Studio Arts LLC. Buy premium quality KTM ATV Quad graphics wraps decals and skins from Darkside Studios LLC for 525XC 450XC and more! Manufactured with X-Treme 25 Mil thickness, and insanely aggressive adhesive.